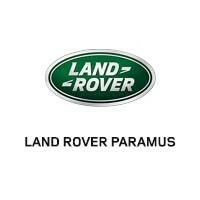 Land Rover Paramus of Paramus, NJ is your Land Rover parts and service provider. Our parts department stocks a comprehensive selection of genuine Range Rover and Land Rover parts and accessories, which helps improve the efficiency of our highly rated Land Rover service department. We have parts for all Land Rover models, including a great selection of Range Rover parts. Call (844) 924-8340 or contact us today with your Land Rover auto parts questions and inquiries. When servicing your Land Rover, we only source from Land Rover OEM parts so you know your vehicle has been serviced with the best quality Land Rover parts. OEM parts are built, tested and certified by the Original Equipment Manufacturer especially for your Land Rover. At Land Rover Paramus we find OEM parts more reliable than Land Rover aftermarket parts for providing the best quality service. Likewise, our Collision center only uses official Land Rover body parts when repairing your vehicle. Why settle for anything less than the best quality Land Rover and Range Rover parts? Our large inventory of parts we keep in stock helps us get you out of the shop and back on the road as soon as possible, and helps keep you there longer. Land Rover Paramus has new Land Rover parts at competitive prices. We sell every part your vehicle could ever need, including Land Rover wheels, tires, mufflers, brakes, mirrors, gauges, air conditioning parts, floor mats, transmissions, engine parts, bumpers, grilles, hoods and more. We have one of the largest Land Rover parts selections in the area and likely already have the part you need. If we don’t have the Land Rover part you need currently in stock, we can get it quickly. If you need Range Rover parts, such as Range Rover wheels or Range Rover sport parts, we have those too. And if we don’t, we’ll track them down faster and more efficiently for you. Stop by our Land Rover dealership in Paramus, NJ for all your Land Rover parts and service needs. While you’re here, test drive any of the new Land Rover models.